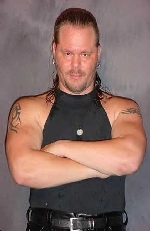 - WWC 29th Anniversary Show (September 14, '02) = Mr. Casanova lost a "Loser Wears A Dress" Match to Brent Dail. - WWC 30th Anniversary Show (July 19, '03) = Rico Suave & Brent Dail defeated Marcus Falk & New York Hit Squad II. - WWC 31st Anniversary Show (August 21, '04) = Suave beat Mike Youngblood. - WWC 32nd Anniversary Show (November 5, '05) = Suave fought to a No-Contest with Cesar Vegas. - WWC Crossfire (November 27th, '10) = Mr. Rico Casanova lost, via DQ, to CJ O'Doyle.